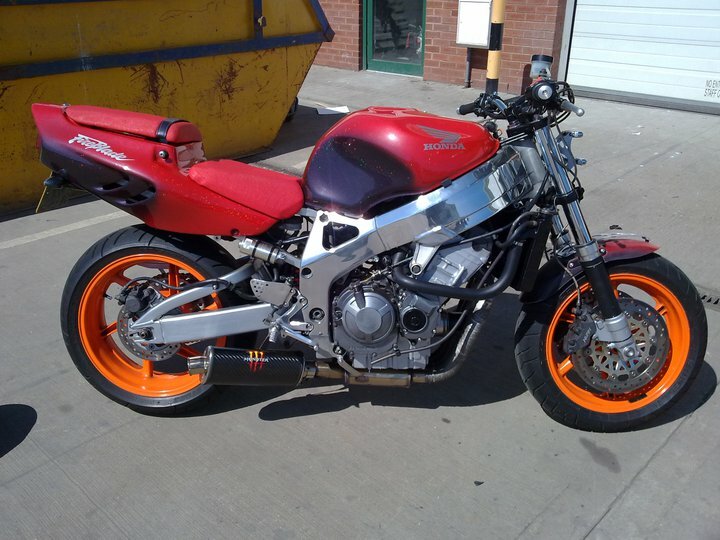 i have a street fightered 1996 cbr900. when i bought it it never had any clocks fitted, it just has the little row of coloured lights for indicators, high beam and neutral ect like in the photo below with the analogue clocks. 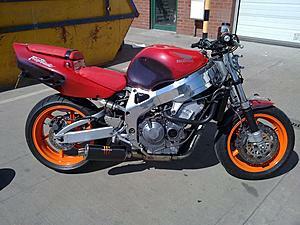 i then bought a digital insrument cluster from a 2004 cbr1000 and fitted that. everything works correctly apart from the temperature gauge. i have wiring diagrams for both the cbr900 and the later cbr1000 and after looking at them i see the 1996 blade has one wire coming from the temp sensor that goes straight to the gauge whilst on the 2004 blade the sensor has three wires, one goes to the gauge, another goes to the ecm and the third goes to earth. my problem is that when i switch the ignition on the temperature goes straight to maximum and flashs at 130 degrees celsius. 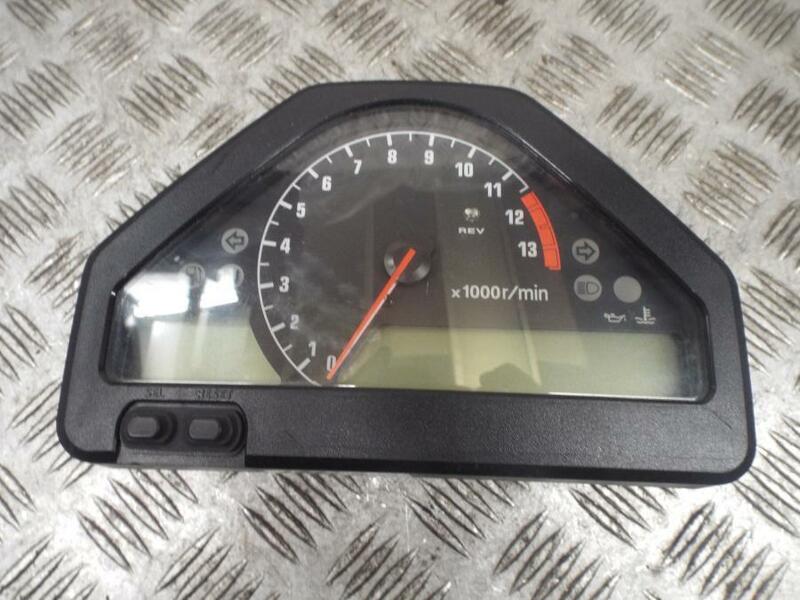 is there any way i can get this to work or is the newer gauge expecting another signal like it does from the 2004 blade and thats why its maxs out straight away even though the bike is stone cold. The 954 cluster won't work I believe. I hear that the gauges tie back into the computer, and the bike won't start unless the system is complete. I wanted to use the 1000RR gauges but didn't because of the same issue as the 954. 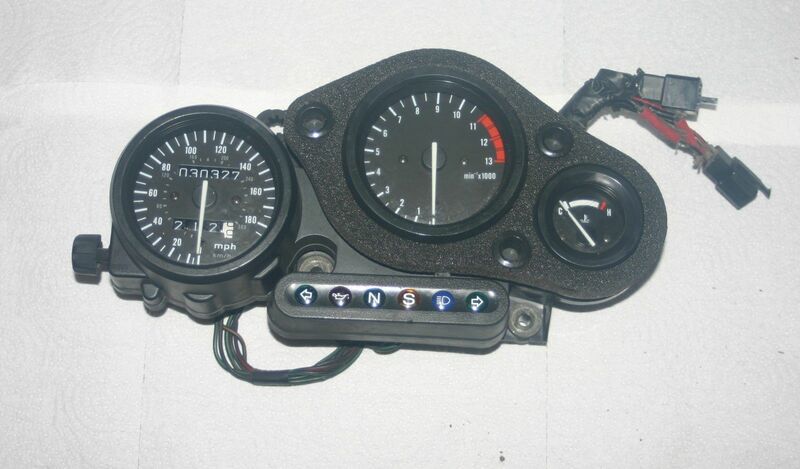 The 929 gauges might work, but I know for sure that the F4i gauges do work!! although my bike starts and all other function of the gauges work i guess changing the temp sensor as in post#1 will not work because as i suspected its looking for another signal from the computer.